When we think of infrastructure the first things that come to mind are often transport, energy, water, public buildings, even broadband. Housing should be considered as a core piece of our infrastructure and needs to be given high priority. We need to get our housing right in order to provide social, environmental, cultural and economic sustainability, writes John O’Connor. Considering housing as a vital element of our infrastructure helps us to see it in a different light, creating the right balance of homes in the right places and building sustainable communities. Economic growth is currently strong and continued growth is expected for 2019 and 2020. Labour market trends are key to housing demand, and employment is forecast to continue to grow for the next two years by around 2-3 per cent. As we are currently nearing full employment, we will need to attract more people into Ireland and they will need good quality, affordable homes to live in. The long-term projection is that our population is set to increase by over one million in the next 20 years. However, in the last two years alone, it increased by almost 120,000 people; this is ahead of projections. On average, we need in the region of 25,000 additional homes each year. However, we will have to increase our delivery over the coming years to over 30,000 additional homes per annum to address this population increase and to catch up on low output over the last ten years. This is a great infrastructural challenge, but in increasing output it is crucial that we look to our future requirements. Our population is ageing, and this trend is set to continue. More people are living longer and healthier lives. By the middle of this century, it is estimated that over 1.5 million adults in Ireland will be aged over 65. Older people report that they want to age in their existing communities as much as possible and we know that this is good for us all. The key to this is the right type of homes; research commissioned by the Housing Agency identified a potential market for up to 100,000 purpose-designed age-friendly homes in Ireland representing €2.5 billion worth of unmet need. There are examples of this type of housing working well around the country. Increasing the supply of age-appropriate housing is a crucial infrastructural requirement to the success of policies to address the needs of our changing population. Our household size is also now closer to the EU norm: three quarters of all households are of three people or less. We must concentrate on a greater mix of different types of housing of appropriate size, quality and design. 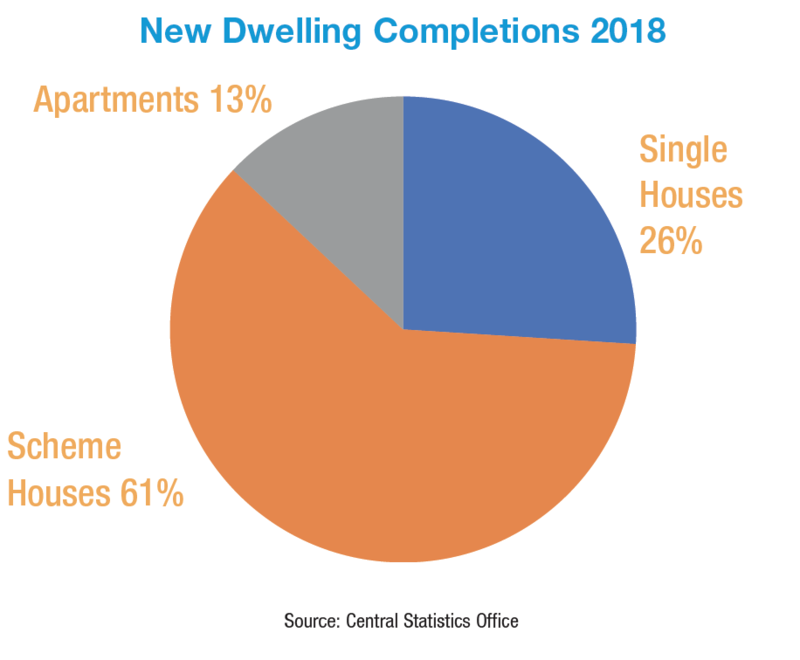 In 2018, over a quarter of new homes were one-off houses and in 16 local authorities over half of homes completed were one-off houses. Only 13 per cent of new homes completed were apartments; with the majority of housing delivered in lower density housing developments. We need to dramatically change what we are building to be sustainable; economically, socially or environmentally. What we need is sustainable and attractive compact growth; that is better use of infill and brownfield sites, reuse of existing buildings, the development of our towns, villages and cities. This is necessary so that people can live closer to employment, services and amenities. In 2016, almost 30 per cent of Irish households were renting, either privately or in the social housing sector. This rises to over 40 per cent in our cities and is a growing trend. Renting is now becoming more of a norm, particularly in our cities, for many different factors. It is important to recognise that many households may choose to rent rather than buy a home, due to lifestyle or circumstances. Renting can have lots of positive attributes. It offers flexibility, choice and relative to buying, it offers quick access to accommodation. It also results in a more efficient use of the housing stock. In planning for the future of rental, it is important that the types of new homes we build or refurbish reflects the design needs of households renting and that they are affordable. Plans are well advanced to introduce cost rental housing in this country. This makes up a major proportion of housing in some European countries, such as Austria, the Netherlands, and Denmark. Cost rental is where rent is based on the cost of provision and maintenance rather than market rent. The idea is to provide long-term affordable homes to those with low to middle incomes who would have difficulties affording their accommodation. Long-term financing, the use of state lands and funding for site infrastructure can all help to reduce the cost of providing this type of housing and consequently the rents that need to be charged. It is a long-term approach (50+ years) to the delivery of a more affordable rental housing stock. Our infrastructure leads to housing – be it roads, power, water, etc. But it needs to start at housing. The key question is: where and what type of homes of the future are needed to create good sustainable outcomes for our people? This is the question that needs to underpin our thinking if we are to build for future generations. 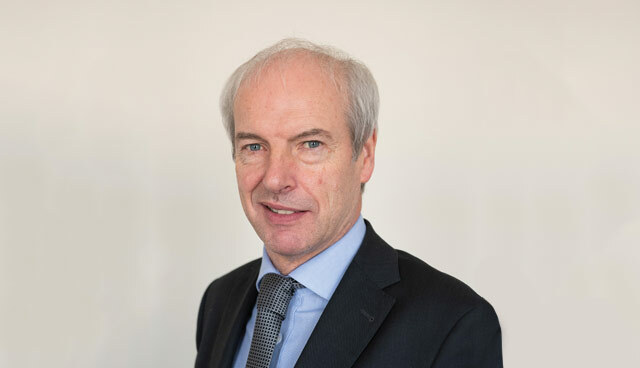 John O’Connor is chief executive of the Housing Agency. The Agency’s role is to promote the supply of housing to meet current and future housing needs and demand. 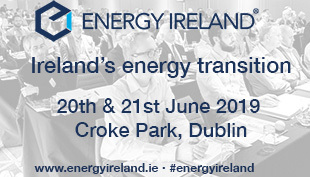 It does this by building expertise and expert knowledge on housing, supporting housing policy development and implementing effective housing programmes in collaboration with others.